Return Policy: All linens are non-returnable. Looking for sheets that can hold up to heavy use and the constant washes without pilling and wearing out? Then our most popular cotton jersey material is exactly what you need. This 50/50 poly-cotton interlock material is extremely soft, very warm, and a little stretchy. Made from a durable double-knit construction it is designed for no-pill, no run, and no shrinkage. This superior fabric is perfect for massage and spa therapy. Available in White and Natural (No dye pigmentation). 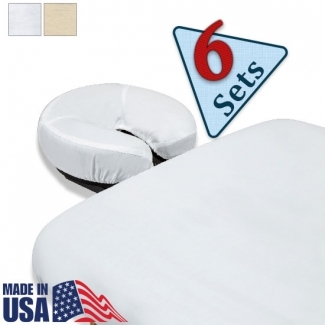 The fitted sheet is fully elasticized to secure a snug fit and is designed to fit tables up to 36” W by 78” long. 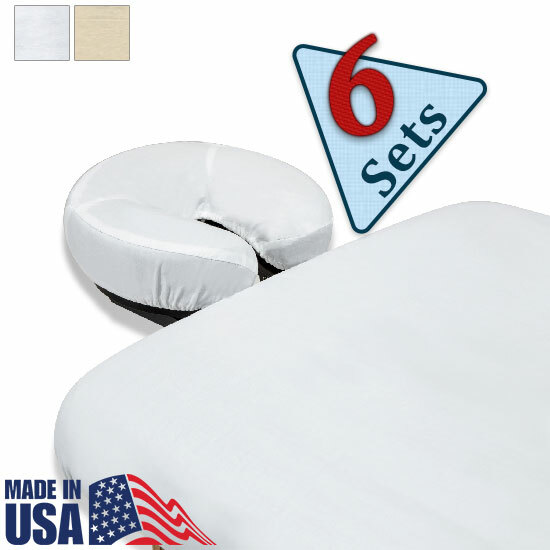 The flat sheet is 58” W by 90” long giving a generous amount of sheeting to cover your client in warmth and luxury.